Dave has always been a huge fan of new technology and finding new ways to get bikes to go faster ! He was and is always at the forefront of adapting new ideas to make his bikes “faster” and he is always on the look-out for new products he thinks might be an advantage to his athletes . But he always tries the new product out first as he is only too aware of the hype surrounding some products that are very expensive and basically just rubbish! 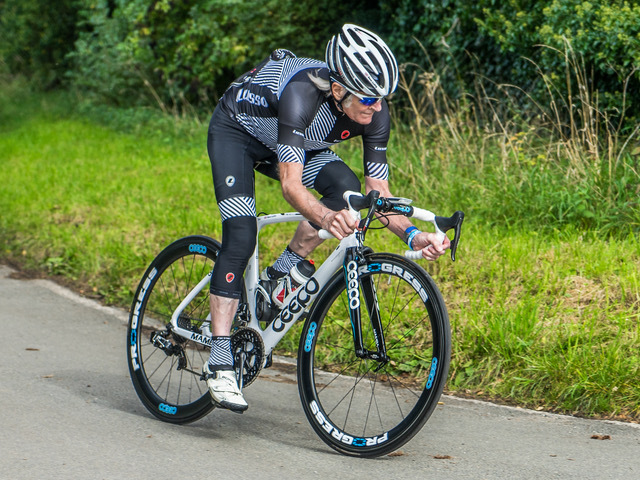 For 2019, Dave is recommending only four superb products… , CEEPO FRAMES, ROTOR, LUSSO CYCLE CLOTHING and the newest is PROGRESS WHEELS . I have been on the lookout in the past year for a Frameset that I wouldn’t have to pay £4,000 + for and not a “made-to-measure” . I wanted to find a frame I could get “ off the peg” and with a sensible price tag , so I could recommend it and sell it to my athletes and anyone else who want something different , but NOT have to outlay £4,000+ for a frame set !! Gilles Cantin has lowered the Down Tube on the Mamba and cut it out to fit the front wheel .. A really lovely aesthetic touch and makes the bike even more stable is the fact that Gilles has also lowered the Bottom Bracket slightly to make the whole thing more stable … He has a great touch with design and his work with Cervelo and Ceepo shows how clever he is with design .. He makes things WORK and also doesn’t hold back to make a frame aesthetically very pleasing .. The Mamba is also very Aero and I appreciate that too ..
Having now given the CEEPO MAMBA some really good miles over my hills in Wales and on my tricky lanes in the Wirral , I absolutely love it in every respect and it fits me perfectly and I have been able to mimic my “usual position” to the mm , by using a long Piste stem and being able to move the saddle 8 cm behind the BB which is absolutely mm perfect for me .. So I have the first frame i can use OFF THE PEG and be EXACTLY the same position as my MADE-TO-MEASURE frame s, and this is the first time this has been the case .. 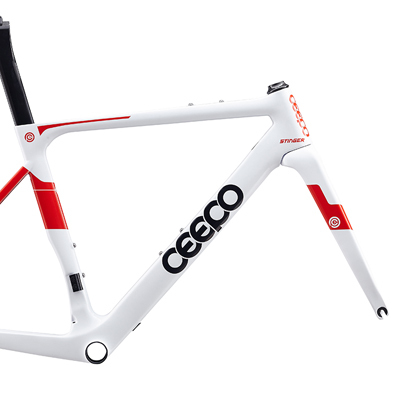 I am picking my Ceepo Stinger up at the end of December and it has exactly the same Geometry as the mamba , so I am so looking forward to that ..
GEOMETRIES OF CEEPO MAMBA AND STINGER …. 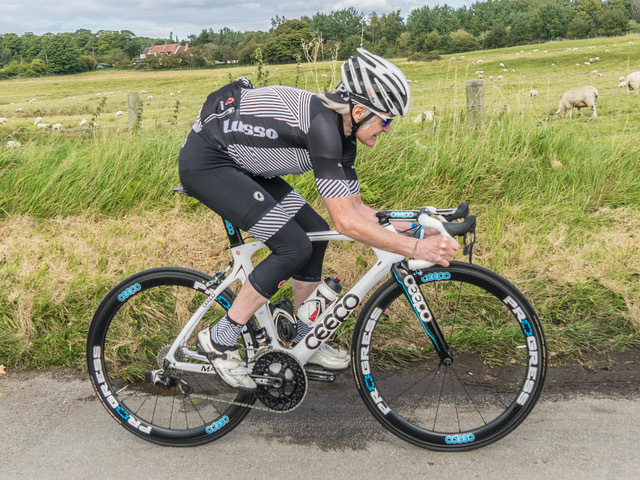 The very FIRST recommendation Dave has is the amazing Cycling Kit , LUSSO ( Made in Manchester) . Dave is now the Ambassador and test pilot for LUSSO, and rates this as the best clothing for real bike riders out there .. 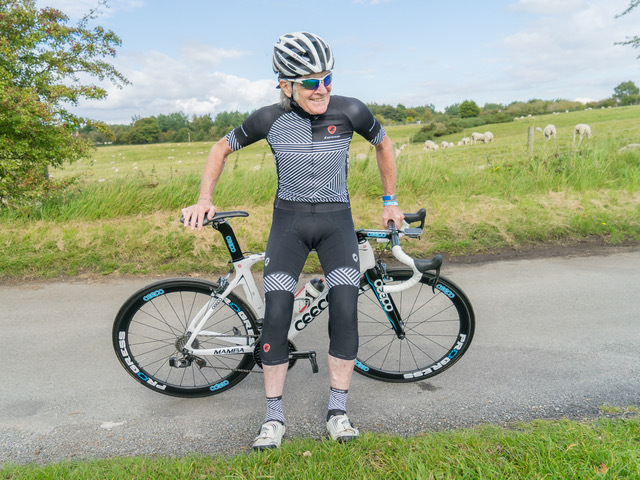 This is the amazing LUSSO ..
Top technical Cycling Apparel , unmatched anywhere according to Dave who has only just found LUSSO after years of trying to get rid of saddle soreness and is now using LUSSO’S shorts exclusively and his Soreness is at last clearing up .. 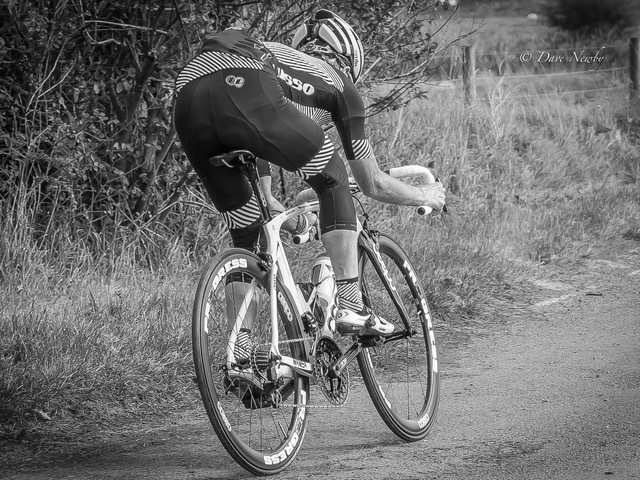 Doing what ASSOS couldn’t do ! The clothing is being tested by Dave who is the new 2017/18 Ambassador for LUSSO clothing and who does about 40,000 miles a year on the bike, so who better to test the product..
“It’s the very best way to get feedback and change things if needed !” , says LUSSO boss John Harrison. I have been using Rotor products for years now and will continue using their Rotor Chainset and the best Power meter there is .. ROTOR , but lately I have been wondering about the QXL chainrings and thought I would go back to my old faithful “Q” rings from ROTOR .. They are not as severe as the QXL’s and the other day I put them on and tried them over a 2 hour circuit I use all the time and they produced a lower Heart Rate and INCREASED Power for the same distance on QXL chainrings .. Absolute Proof they are faster and just to make sure I put the right hand crank with the “Q” rings onto my Tacx Training Bike this evening and rode the Stelvio climb .. I got to my PB 1 hour time in 52.02 and my 1 h 15m time in 1 h 5m 55s .. Again ABSOLUTE PROOF they are FASTER .. I am so pleased with them . SO HERE THEY ARE .. THE BEST FRAME YOU’LL GET AND THE BEST CHAINRINGS … AND THE FASTEST YOU’LL GET ..
PLUS you can get the above Premier Chainrings from me for £122 a pair (AS PIC ABOVE) as opposed to £170 for QXL’s and they do a Training pair of rings (slightly heavier) for £98 .. Great looking rings , but MOST importantly .. FASTER !! Dave is “absolutely” 100% behind “Q” rings as he just continues to place personal bests on them every time he does one of his routes and is FASTER on the ROTOR “Q” rings … ! Before anyone says that Shimano used to do the Biopace chainrings years ago, these have nothing in common with ROTOR rings…There is some scientific basis to the use of ROTOR rings and that when the pedals are at 6o’clock there is a “dead spot” in the pedalling stroke, where , in fact, nothing is happening .. OK you can ankle which is a very good thing to do, and practice (ask Dave’s athletes)…. 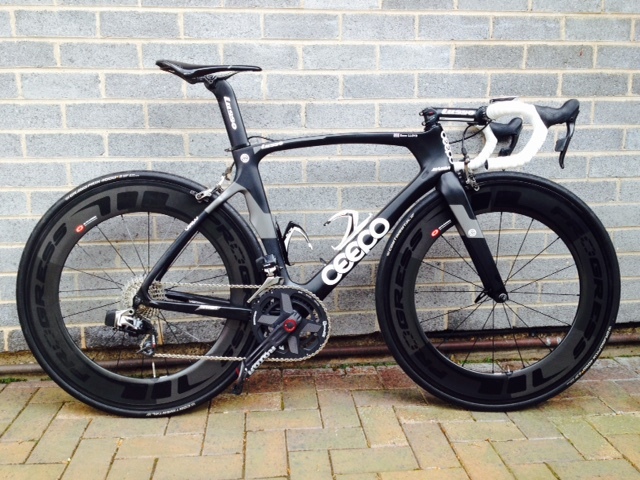 ROTOR rings have a very neat idea to get over this long time problem with pedalling strokes…. They actually lower the gear quite significantly at this point (as their ovalisation enables this to happen) and it is so much “easier” to get the pedal over this dead spot and then the gear is increased to it’s normal (or slightly larger gear) as soon as the dead spot is overcome .. INGENIOUS and BRILLIANT . the new ROTOR chainrings by Robin Corder from Velotech work and are proven by Dave to be FASTER ..
AGAIN , CALL DAVE FOR A QUOTE ON CEEPO , ROTOR OR C-BEAR PRODUCTS ! LLOYDY’S FASTER WAY TO PROGRESS ! Dave is the UK AMBASSADOR for Progress amazing wheels for 2019 and Dave rates them as “BOMBPROOF … Dave has used Progress for many yeasr now and has had absolutely NO trouble with them .. OK in 2018 Dave did 43,000 MILES on Progress wheels and has had new bearings , but the wheels are still as true as when he got them and he’s a REAL test for all equipment .. Dave rides long and HARD and the wheels take an amazing amount of “battering” from Lloydy’s manic descending and the rough roads of North Wales and the Wirral .. They have come through with flying colours and Dave rates them as the best wheels for the price out there .. Please call Dave or Chris for more information and prices on 0151 336 3323.